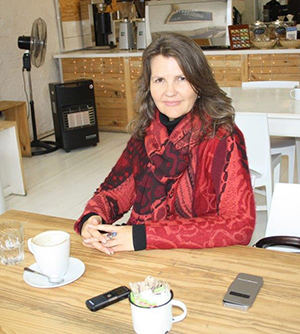 Josine Overdevest first fell in love with South Africa over 13 years ago. But it wasn’t until three years ago, when she quit the leafy northern suburbs for an apartment in the inner city, that she really learnt to love Johannesburg. Rudo Mungoshi chats to her about her move. Every morning, Josine Overdevest wakes up to idling buses, the morning call to prayer from a nearby mosque, and the laughter of a hawker who sets up her stall close to the building that previously housed the Johannesburg Stock Exchange. Overdevest lives in inner city Johannesburg, on the border of Newton and Marshallstown. She finds the early morning sounds of her neighbourhood comforting, joking that she does not need an alarm clock to wake her up. She is one of a growing number of professionals who are taking up residence in an inner city that is undergoing a major revival as property developers, banks, retailers and other businesses increasingly respond to the inner city regeneration drive being spearheaded by the Johannesburg Development Agency (JDA). The Dutch national, who moved to South Africa 13 years ago after falling in love with the country on her first visit as a tourist, says she finds it impossible to tire of a country and a city which keeps offering her places new she has never been. Having spent her first 10 years in the country living in Centurion, between Midrand and Pretoria, and then in the northern Johannesburg suburb of Parkhurst, she is feeling more at home than ever – and closer to the life of the country – in the heart of the city. Not only does she feel more connected – she also feels safer. She grew tired, she says of her years in the suburbs, of “living behind walls” and not having a view. “I am very much aware of the security issues, but I have never been a big fan of living behind walls; I believe it provides a false sense security. I don’t think those walls can protect you. It can be even more dangerous. Overdevest stays on the tenth floor of the high-rise Franklin building on Pritchard Street. Now a modern luxury residential apartment block, the building used to house the local head office of Ernst & Young, before the accounting giant joined the JSE and other financial heavyweights in their flight from the inner city in the 1990s – a trend that the City of Joburg and the JDA are in the process of reversing. She considers herself to lucky to have her own corner wing that faces both north and west, giving her views of both the highway to Soweto and the Nelson Mandela Bridge – a flagship JDA development, completed in 2003, that signalled the seriousness of the City of Joburg’s intent to revitalize the inner city. The city is also unlike any city in the Netherlands, she says. “Johannesburg is in a league of its own; only its new architecture and industriousness sometimes remind of Rotterdam. She chats enthusiastically about the unusual shops she now frequents, especially along Diagonal Street close to her apartment, and the new friendships she has made with people some of whom have lived in the street for more than 60 years. In the past three years, she has kept herself busy exploring the inner city, and now feels she knows some of its secret corners – as well as the restaurants that serve the best coffee and food. She walks often to Fordsburg, to the Standard Art Gallery in Simmonds Street and to Braamfontein, where the JDA has spent tens of millions of rands on public environment upgrades. Her favourite jaunt at the moment is the Newtown Junction mall, a R1.3-billion development that opened in 2014 and an example of the scale of private sector investment that has begun to flow back into the inner city. She hopes this development will continue to take into account all types of people who want to live in town.